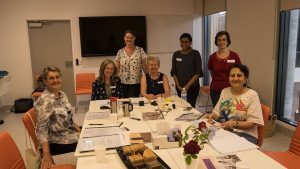 Last week I was privileged to attend training on 'Developing a Volunteer Biography Program' hosted by Eastern Palliative Care in Victoria. Eastern Palliative Care offer community based palliative care services in Melbourne's eastern suburbs including nursing and medical, family support, bereavement programs, education and training, allied health and volunteers. They run Australia's largest volunteer based palliative care biography program. Recently, they celebrated reaching the milestone of 1000 palliative biographies written. The Minister for Health recently recognised their hard work and awarded their volunteer biography team with a Volunteering Award. The workshop was excellent. I learned so much. Most importantly, they made sure we all understood that engaging with a biographer is a form of therapy for the patient/client. Because being sick takes everything away from a person, their whole identity seems to disappear – they have to stop working, are too sick to go to social events, no longer have the strength to play sport, can’t get to the parent-teacher meeting, friends visit less. Life is reduced to being a care recipient. Their whole sense of self can evaporate. 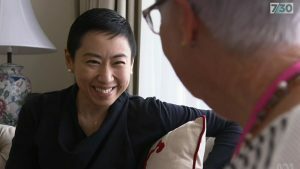 The process of sitting with someone and asking them to recount things about their lives reconnects clients with their essence and what’s important to them. It is a healing experience for them, healing their self, their spirit and their relationships. It makes them remember their life has meaning and they are valued which subsequently leads to a more peaceful death. Ressearch has proven that biography therapy reduces anxiety, depression, pain and breathlessness in clients and improves self-esteem and feelings of wellbeing. 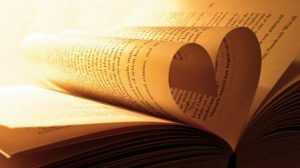 The actual output of a biography is secondary to the therapeutic benefits but is of course is a lovely memento for the loved ones left behind. Biography volunteers are matched with a client and usually visit once a week for 6 to 8 weeks. They record the stories told to them and present them back to the client and their family as both a published work and a digital file that can be re-printed or shared as many times as needed. We have had a lot of interest in biography from Managers of Volunteer Services in NSW. From a service delivery point of view, there is a lot to consider before initiating a biography program – how to structure a program, volunteer recruitment selection and retention, processes, training, legal issues, managing risks, technology requirements, publishing and formatting, and more. Having had this training I feel I am now well equipped to assist Managers with their inquiries. If you are interested in finding out more about offering biography as part of your volunteer service, please contact me. 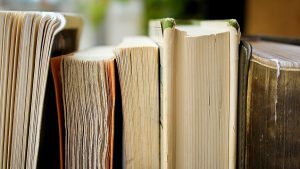 I would be happy to recommend this course to you or speak with you further about how you might manage a biography service of your own. 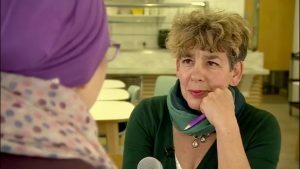 To hear volunteer biographers talking about their work with Eastern Palliative Care click here to watch their 3 minute youTube clip, 'Every Person's Story is Important'. 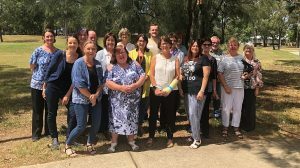 Photo : Here I am with the team from Eastern Palliative Care after completing the 'Developing a Volunteer Biography Program' training in Mitchum, Victoria. 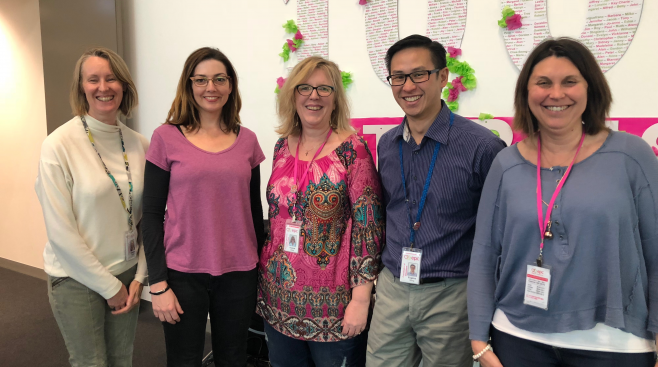 (L-R): Penelope Di Sario, Coordinator of Volunteers; Kate Bowman, Palliative Care NSW Volunteer Support Services Programme; Krystal Wallis, Volunteer Services Consultant; Eugene Wong, Coordinator of Volunteers and Nikki Farren, Coordinator of Volunteers.